This 2018 Crossroads Sunset Trail Lite 291RK travel trailer has one slide out, a sleeper sofa, a pair of recliners, day/night pleated shades, and a table with free standing chairs for dining and entertaining with an HDTV in the entertainment center. The rear kitchen is equipped with lots of counter top space, a 3 burner cook top with oven, a microwave, stainless steel double bowl undermount sink and a double door refrigerator. There is also a convenient private bath with an enclosed shower at the mid section. At the front you will find a walk around Queen bed with overhead storage, nightstands, and dual mirrored wardrobes. Heading back outside you will find a spare tire, electric tongue jack, stabilizer jacks and so much more! *Stock unit shown, actual unit may vary slightly from photos. Images are representative of this model but may not be of this specific vehicle. Buyer must verify all features and accessories are on this unit for sale. 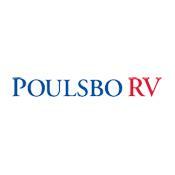 Poulsbo RV is now one of the largest high volume dealers in the nation and carries all major brands of RVs. Our pre-owned inventory is always several million dollars strong. With four locations to serve you in Everett, Auburn, Kent, and Mt Vernon Washington, we are your full service Washington recreational vehicle dealer. We offer new and used motorhomes, travel trailers, fifth wheels and toy haulers by many different manufacturers including Winnebago, Forest River, Fleetwood, Tiffin, Gulf Stream, Alfa Leisure and Dutchmen. Choose from Diesel, Class A, Class C, travel trailer, fifth wheel and toy hauler sales and RV consignment services. Whether you are in Seattle, Tacoma, Oregon, Alaska or British Columbia, we are here to help you for all of your RV'ing needs. You'll discover we have the best RV pricing, and a competent, friendly staff is what brings folks from all 50 states and other parts of the world as far away as Japan and the United Kingdom. Along with personalized service, complimentary lunch is provided at all of our stores. Our service facilities are award winning. They're here to get you back on your adventure quickly. You're entitled to America's best RV prices and you can count on that here. Give us a try. You'll be glad you did.